Do you have total visibility into your organization’s end-to-end processes? Are every departments, employees and stakeholders are involved in related processes? Can you measure and improve your procesess? Mi4biz provides all your business process management needs with full transparency and visibility into your business. In the digital era business transformation, customer satisfaction and employee engagement require you to redesign all business processes from beginning to end. Moreover the traditional way of Business Process Management (BPM) has shifted. You need to adapt successfully to this rapidly changing business environment. As a business process management software Mi4biz is designed to help organizations manage, orchestrate, track end-to-end processes and simplify their operations in this business landscape. How to use Process Management feature? Mi4biz provides functional tools to set your business rules. No coding required to design forms, processes, workflows and SLA’s. The user-friendly interface helps you to create or modify the business rules at any time, without developing new software. What are the benefits of the Process Management of Mi4biz? You can design and modify processes by yourself without waiting IT or vendor support. You don’t need to design every single detail in the beginning, instead you can continuously improve your processes. Therefore, you can have your first implementations and their results immediately in few weeks. Mi4biz creates opportunities to transform and design business processes and optimize workflows. With the Process Management feature of Mi4biz, you are free to design all the necessary steps to solve any type of problem for the happiness of your customers through their journeys. The feature enables companies to regulate business processes with customer needs, and supports managers determine how to arrange, monitor and measure organization resources. By using Mi4biz in addition to contact center, all departments across the organization can be engaged to solve issues and requests. Therefore Mi4biz is not only a ticketing solutions, it is also a process design and management solution. Because it is being more accepted that customer service management is process management. Therefore Mi4biz’s claim is, “ticketing is not enough, customer service management is process management”. Automate workflows, define SLA management, and many more! You can design different automated workflows for every type of issues resolution process. Workflow automation improves internal communication within the organization and reduces most of the human errors which causes you to lose customers. In Mi4biz you can also specify the sequence of the operations necessary to solve any type of task and their Service Level Agreement also known as SLA. Design and monitor processes, define SLA management or escalation management. This increases business efficiency, provide better coordination for complex processes. Moreover you can design processes as automatic messages (either SMS or e-mails) will be sent to the related stakeholders (customers, agencies, partners, etc). Let your customers know that you are aware of their needs and at work on solutions. 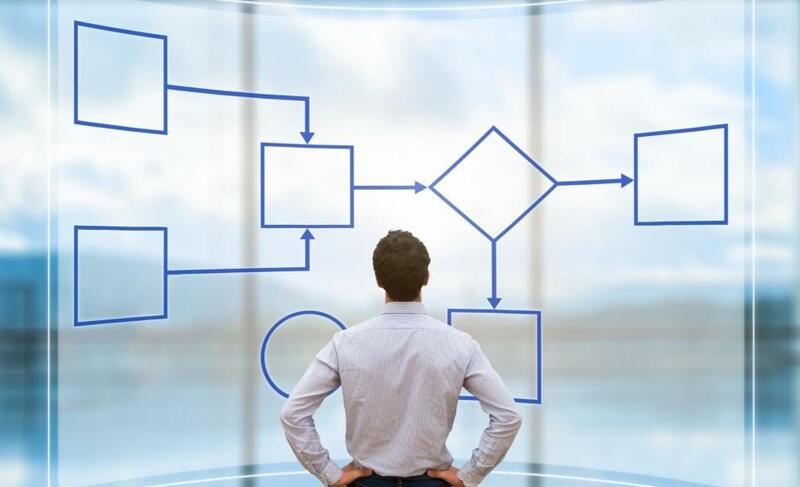 Business Process Mapping is a key part of any process improvement strategy, therefore improve your company’s process mapping skills with Mi4biz. Mi4biz makes it easy to design, track, and view whole processes of your organization. View entire lifecycle of executing, and monitoring business processes. Participation from everyone: bring people and whole system together, create value. Orchestrate, manage and monitor end-to-end operations. Increase efficiency, reduce costs and minimize errors. In a competitive business environment where technology is rapidly changing, business processes improvement becomes one of the important elements for organization to succeed. At this point, process management is a critical issue for today’s organizations, so Mi4biz provides management visibility into every step of the work process. To learn more about the Mi4biz and the features, contact us.